The Witnesses refuse to celebrate birthdays, Valentine’s Day, Mother’s Day, Father’s Day, Easter, Christmas, or any other holidays not found in the Bible. Most holiday celebrations are harmless. They do not contradict the Bible. To say that Mother’s Day or Father’s Day is a worship of parents is ridiculous. It is to show respect and appreciation, not worship. However, there are reasons why people question Christmas and Easter. Where did Christmas come from? It started in ancient civilizations, when people were afraid in the winter that the Sun would disappear and that Earth would freeze. They also noticed that some plants and trees remained green all year long and believed that these plants would give them powers to survive the winter. So, they decorated their homes with pine, spruce, fir, date palm, and evergreen trees in the winter. Around the first century, the early Romans made a holiday out of this called winter solstice, honoring Saturn, the god of agriculture. (Henotheism) In 378 A.D., early Christians turned this winter solstice into a celebration of Jesus and had a feast on December 25. This celebration was later called Christmas. What about Santa Claus? The name Santa Claus comes from the Dutch name Sinterklaas, which means Saint Nicholas. Nicholas was a Bishop of Myra, Turkey during the 4th century. Once a year, he threw a feast on December 6, in which he wore bishop attire, and gave gifts to children based on their behavior. This feast with gift-giving became a tradition every year in Northern Europe. By the 13th century, this tradition began spreading south. In the 17th century, this gift giving celebration was changed from December 6 to December 24, Christmas Eve. The tradition of Christmas caroling also began around this time. Where did the Christmas tree come from? In 1761, when Charlotte of Mecklenburg-Strelitz married King George III, the Christmas tree was introduced as both a wedding gift and a celebration of Christmas. In 1870, Christmas was formally made a United States Federal holiday, by President Ulysses Grant. So Christmas has both pagan and Christian origins. However, the origin of the holiday should have no bearing on today’s celebration. 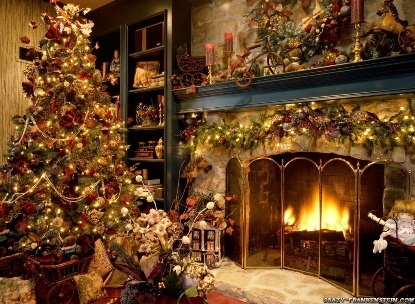 Today, most people celebrate Christmas to honor family and enjoy life. This is a positive and good celebration, regardless of the origin.